Pansy is an average fifth grader. She and her friend Anna used to do everything together or at least brave, extraordinary Anna does. After one last big fight, Anna goes to summer camp. She contracts meningitis while there and comes back completely brain-frazzled. When Pansy learns that Anna will undertake brain-surgery she knows that this is her chance to make up with Anna, not that silent girl in a wheelchair. 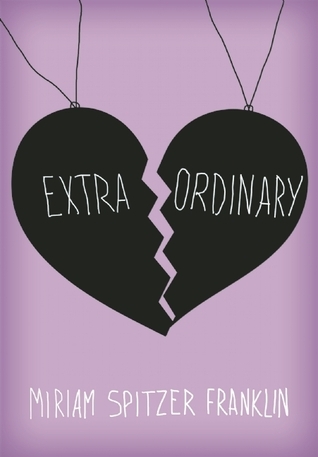 She is determined to be extraordinary, do all the things she promised to do, but never did. Many people feel like they will never be as good as others, like they are just too ordinary, Pansy especially. Navigating through fifth grade in her mismatched shoes, the hard work, the heartbreak can change you. This book is deep. It made me laugh, made me cry reading it was an unforgettable experience. I recommend this book to anyone who has ever wished they were better, ever felt out-shined by a friend. The Flea’s main character is the shepherd, who as the story states is not very clever. The story begins in the king of Spain’s throne room. After that, the setting switches to the Castilian highlands, where the shepherd, his brother and mother live. AS the shepherd sets out for the castle, he travels on a path. He arrives at the king’s throne room, where the main part of the story ends. A flea jumps onto the King of Spain, who names it and calls it a royal flea. When the flea grows very large, the king has it killed and its skin made into a tambourine for his daughter, the Infanta to dance with. The King makes a riddle for the Infanta’s suitors to solve, and if they solve it, they marry her. After no suitor can solve it, the King says the next suitor to miss will be killed. The shepherd wanted to try, so he traveled to the castle, making friends with an ant, a beetle and a mouse. Will the shepherd solve the riddle, or will he be killed? Nikki, Maxwell and her two best friends, Chloe and Zoey were just having a New Year's Eve Slumber Party when they had T.P.d the house of Mackenzie Hollister, aka the meanest girl ever known. The worst thing is they got caught and Mackenzie tried to black mail them to get rid of Nikki, to pluck away her bug extermination scholarship at Westchester Middle. When I look all around me I see Nikki's drama everywhere, whether it's love money, clothes, family, and friends. My opinion on this amazing series is to try it no matter how dorky and silly it looks. I believe this because that's the point! 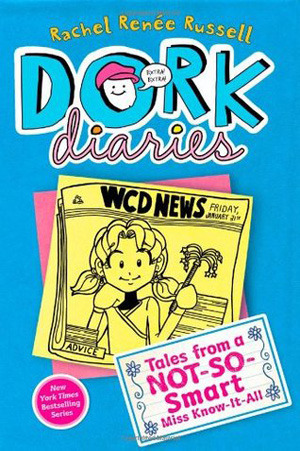 I would probably recommend the Dork Diaries Series to any Middle School to High School girl that is always looking for a good laugh or a nice long yell/Shriek! Melody was born with cerebral palsy. She's learned to deal with it all her life, Even though she drools, she can do anything by herself, and her body gives her surprise party's by amking her throw a tantrum. But, she can't go on to any other grades because she's disabled. Just because she's disabled doesn't mean she doesn't have her own mind. But, the only reason I found this amazing book is because I was being rushed and just grabbed a random book off of the shelf. The only reason I read it was because I was so bored in class and just read a random page. Then I loved it so much. I recommend this book to anyone who likes to read books that have twists and turns, ups and downs and round abouts. But, if I were a girl with cerebral palsy I honestly wouldn't know what to do. I would probably just live life like Melody is. 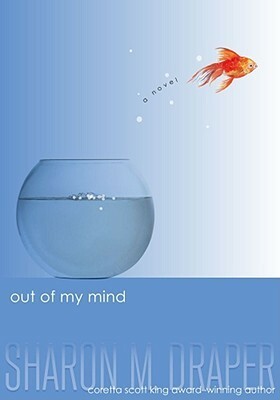 My opinion of this book is five stars because it is a great and inspiring story of a girl with a disability. So what could go wrong?